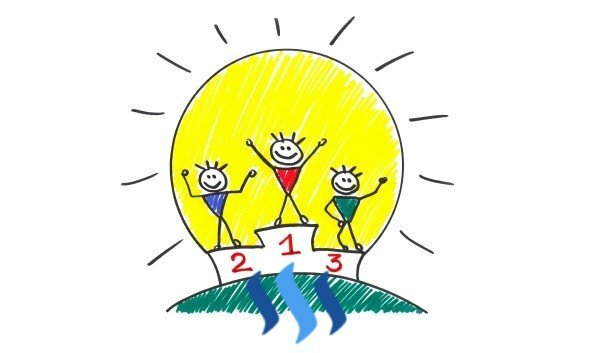 Welcome to the Steemit daily hit-parade. Check what are the posts that have best performed yesterday. This is hit-parade content is based on posts created from UTC 00:00 to UTC 24:00. 1363 @justinashby Cartoons are Fabulous!! 1095 @stoodkev Hello from Taiwan Steemit! 586 @jerrybanfield What is the best time to post on Steemit? 522 @jerrybanfield Steem Witness Basic Training! 491 @jerrybanfield Upvotable #13: Prevent Cancer, Make 3D Images, and Vegan Cheese! 158 @charles1 Down voting : A Motivational Killer or A Strategic Use of Power? 137 @jerrybanfield What is the best time to post on Steemit? 134 @noganoo Steemit has brought me out of poverty and given me a bright future in business. Here is why I think it is the greatest platform ever created. 131 @jiahn 무더운 여름~시원한 계곡으로 Go!Go! 116 @hilarski Bitcoin Cash FOMO has Kicked In Buyer Beware! 274.87 @keiserreport It's @fluffypony on Keiser Report! Support me and my work as a witness by voting for me here!